Price includes :30 second commercials, production, music and copywriting. Adds are based on 30 days in a momth. 31st day is on us! Bonus! ADVERTISE IN HORSE & AGRICULTURE MAGAZINE AND RECEIVE A BONUS OF 60 X :30 COMMERCIALS A MONTH AT NO CHARGE! 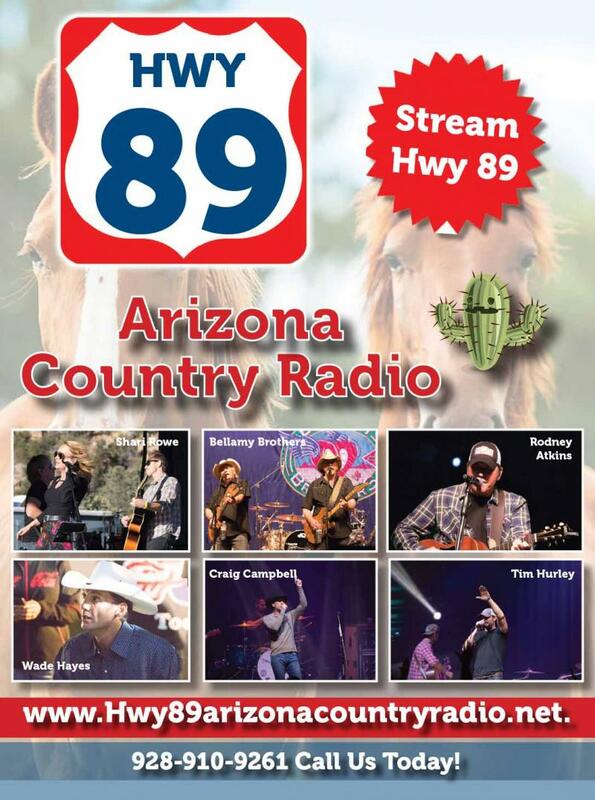 Hwy 89 Arizona Country Radio is an internet radio station! Bringing you the listener and advertiser Country music, New Country, Alt Country, Texas Country, and Indie Country Artists. Including news stories, artist interviews, and events in our communities! All while cruising our beautiful highways. All commercials will be preapproved by the advertiser via a recording being sent to your email. All producation is completed at our recording studio. If you want to record your own commercial? A date and time will be scheduled. If you need additional copies for other radio stations we will provide you with copies. Radio internet advertising is the fastest media growing today! People are mobile today, and internet radio can be accessed by computer, cellphone or tablet. Female 55% Male 45% Consumers of Cars, technology, and services. At Hwy 89 Arizona Country Radio our focus is always finding great country music, whether it be top 40 Country, Indie, or Alt Country. We showcase new artists, bring you up todate information on your favorites, and create a community of listeners and advertisers to bring radio forward and old school radio in discovering new artists. 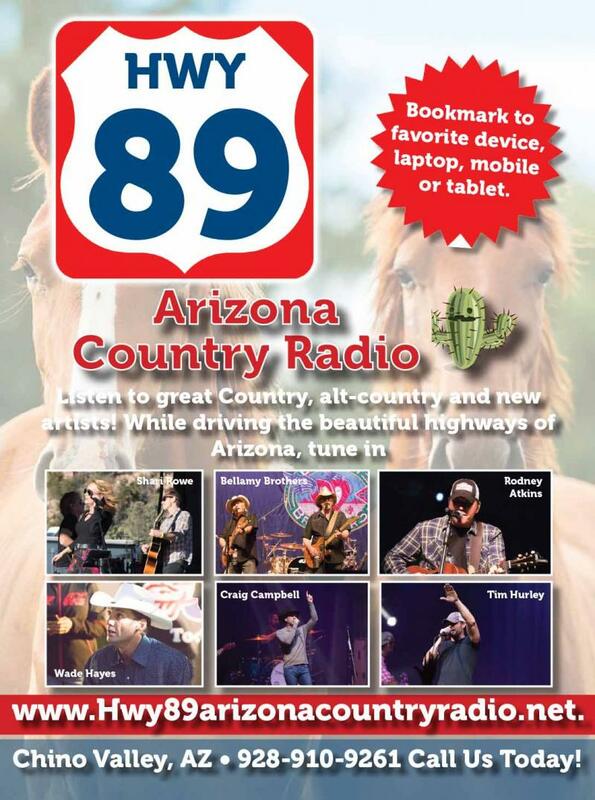 In conjunction with Hwy 89 Arizona Country Radio, our publication Horse & Agriculture Magazine<LLC is a premire glossy magazine that serves horse and agriculture communities in Arizona and beyond. www.horseandagricultuermagazine.net is distributed bi-monthly to businesses, events, subscription and a digital flipbook to read. Copyright 2017 Hwy 89 Arizona Country Radio. All rights reserved.